Prosecutors Reveal Nazi Killer Made Instagram Posts Showing Car Running Into Crowd Of "Progressives" - Joe.My.God. A juror clasped his hand over his mouth in court on Thursday as prosecutors played a video showing a young neo-Nazi sympathizer plowing his car into a group of anti-racist protestors after last year’s “Unite the Right” rally in Charlottesville, Virginia. 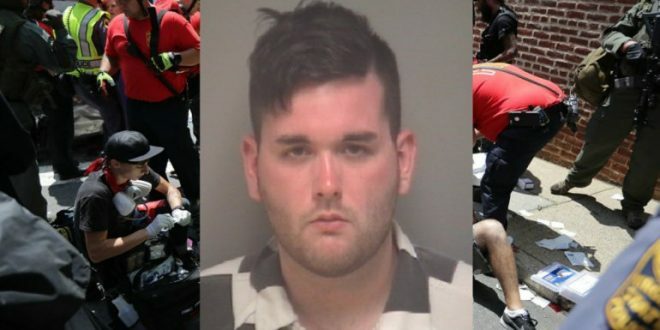 As the video played, the defendant, James Alex Fields Jr., showed no sign of emotion. The posts on May 12, 2017 and May 17, 2017 — some three months before the rally — are expected to be shown to the jury later in the trial, Assistant Commonwealth Attorney Nina Antony said. Antony’s opening statement marked the first time news of the Instagram posts had been made public.